Join our nature based village for hands on skills and outdoor fun. We follow our curiosities to learn down to earth skills from adults who are skilled in their field. We track animals in the brush, water tomatoes in the garden, build a birdhouse in the carpentry room and cool off sitting in the shade of the oak trees working on crafts. We notice what our friends are doing as we pass by and perhaps try a new skill the next day. Projects and adventure are balanced with rest, story and timeless play. The lovely oak shaded campus of Marin Waldorf School and adjacent open spaces serve as our learning playground for this long awaited camp. The camp is Waldorf compatible but open to everyone. Marin Waldorf School is a non-profit 501(c)(3) corporation that relies on the generosity of its parents, friends, and the larger community to support its annual operating budget. We greatly appreciate your donation and thank you for helping us to awaken the joy of learning for the children of Marin Waldorf School. 2018-2019 Annual Giving is easy! Pledge now, pay by June 30, 2019. Email melissamonterrosa@marinwaldorf.org with your pledge or any questions. Making a cash donation to Marin Waldorf School is a great way to support our this year's Fund-A-Need; the Kindergarten Yard Renovation. We raised $9230 at our Spring Party. We need your help to raise $17,770 more! Every dollar you donate goes directly to supporting our students. Our Fund-A-Need brings use and function to the outdoor space used by the Kindergartens for half their day. Children that live in the Bay Area today have a very different culture that surrounds them than from 20 years ago. A culture that all too easily lets their children sit in front of a screen to be entertained. Children need to move and interact with other living beings. They need the opportunity to explore nature; listen to the birds, watch a bee buzz from flower to flower, wonder at worms and bugs, watch the changing weather, and enjoy tasks together with their other children and adults outdoors. In the past ten years, the preschool and kindergarten yards have lost 5 playhouses to the elements and were needed to be torn down. Now is the time to replace them! MWS is a 501c(3) nonprofit organization, so your donation is fully tax deductible. Contact Melissa Monterrosa for questions. Just as there is a rhythm to each day with different tasks appropriate to different times of the day, there is a rhythm to the year. Observing the changing seasons helps the children to work appropriately and fosters a sense of harmony with the rhythmic life of nature throughout the year. 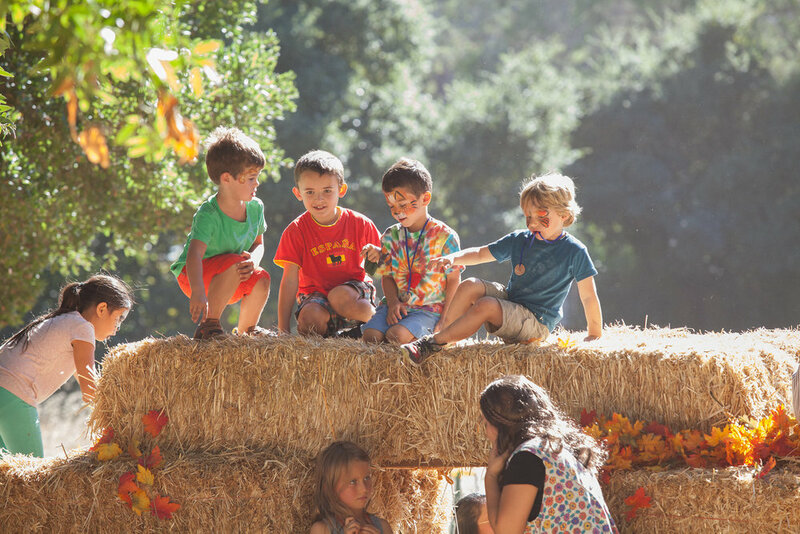 Marin Waldorf School celebrates the changing seasons with major all-school festivals. In addition we hold annual festivals and events for the larger community. MWS parents are raising happy and healthy children together. The purpose of the Parent Association is to promote community life and support the school's fundraising efforts and festivals. Our school was founded by a group of dedicated parents and the on-going enthusiasm, support and commitment of parents helps maintain Marin Waldorf as a healthy, harmonious school community. All parents are automatically members of the Parent Association, which meets on the first Monday of each month during the school year. Class representatives volunteer to represent their classes at Association meetings and bring Parent Association news and projects back to the other parents in the various classes. Parent Association activities are vitally important to our school, as is every family's participation in them. All parents are welcome and encouraged to attend Association meetings. Our Parent Association functions under the guidance of the school administrators. Our annual Children’s Faire is one of the most treasured events in Marin County. The event is Sunday, October 7 from 10 am - 4 pm. Admission is free ~ all are welcome! Come enjoy magical games, crafts, puppet shows, unique vendors and organic food. Be knighted by our Marin Waldorf School Queen or King after testing your strength through a rope course that includes a zip line, swing and tight rope! Find the courage to sneak up to a Sleeping Giant and dash away with his treasure! Bold souls will be rewarded with a Golden Egg! Catch a fish and receive a gift from the sea by a Mermaid! The Little Red Hen bakes and bakes and bakes that her helpers may partake.” Think musical chairs but with cake! When the music stops and you’re on the chosen number, choose a cake! An interactive maze in which children are guided past a sleeping dragon. Treasure is awarded to all heros at the end of their journey! Crafting fun for all ages!